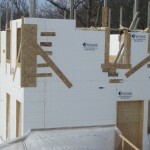 The last week saw the construction of the second floor walls and deck. 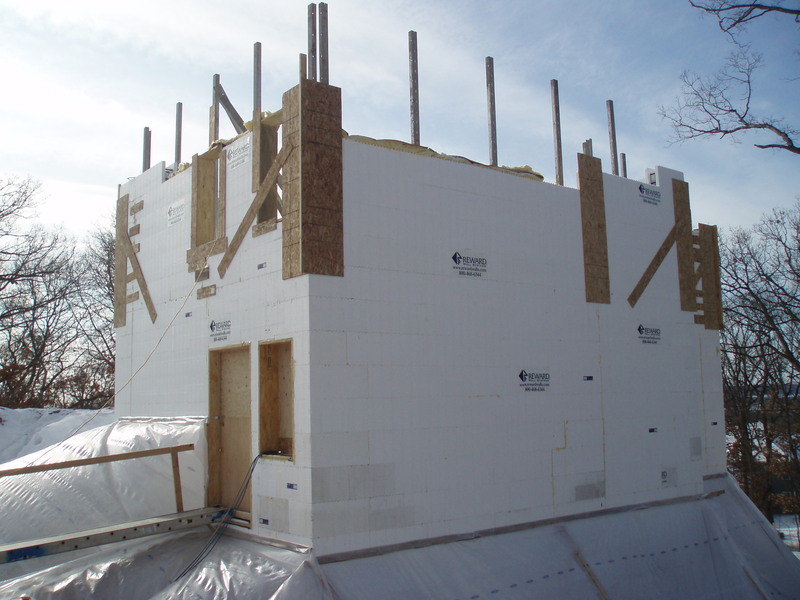 Construction of the ICF building envelope is now almost complete, with only the parapet level to go. 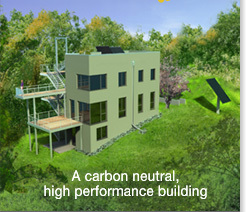 During a recent site visit, we noticed that the passive solar exposure is excellent—just as predicted. The low winter sun penetrates the spaces deep, and at the right time of day, the entire floor surface is in full sun. 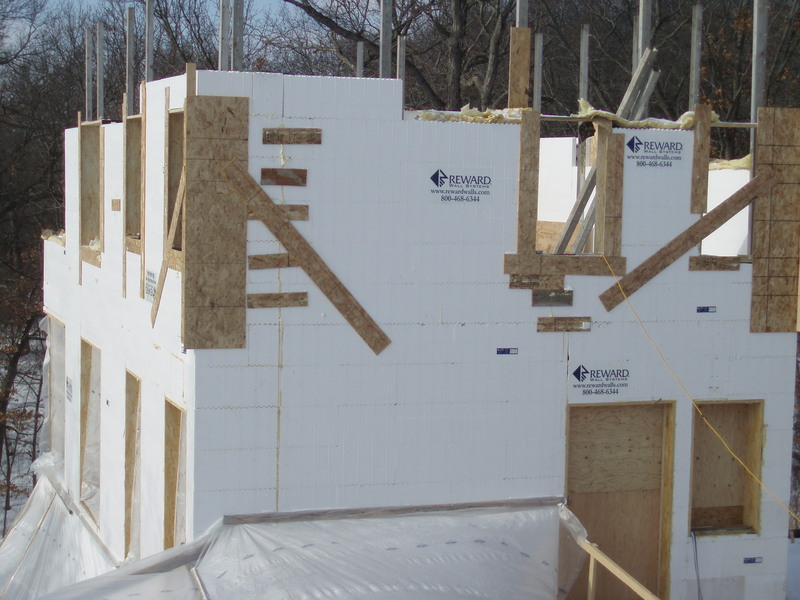 Even on cold winter days, without windows and with “only” the R-21 ICF envelope in place, the solar heat gains are very noticeable. I can see how Morr’s crew enjoys working inside the envelope with cold temperatures outside. The perimeter of the excavation is tarped off to prevent accumulation of snow, and allow for work near the footings to be completed. 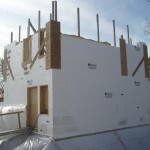 The schedule calls for installation of the below grade insulation package in the next few weeks. 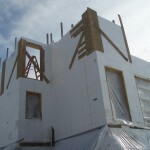 The exterior of the building will see 11″ of EPS. In addition, the below-grade portion of the garage should go up, soon. 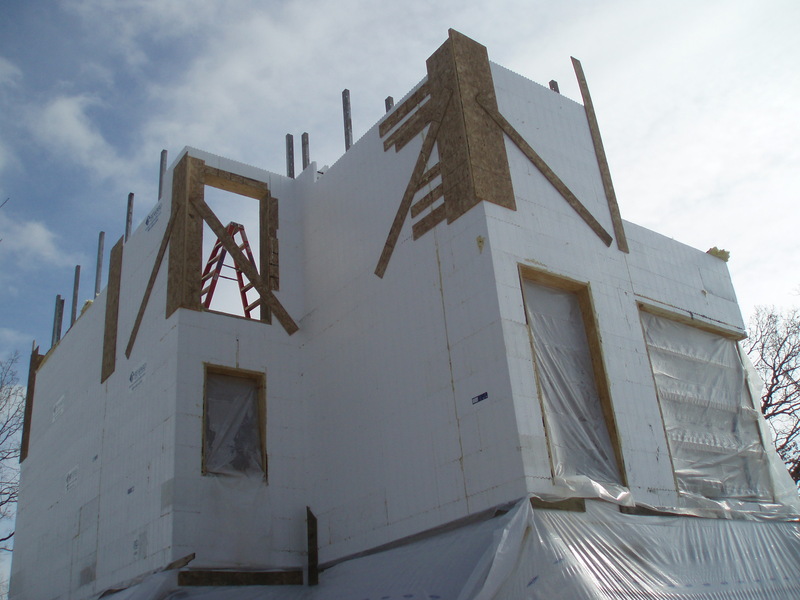 This will complete the geometry of the building on the North side. Looking good! Can’t wait to see it in person.